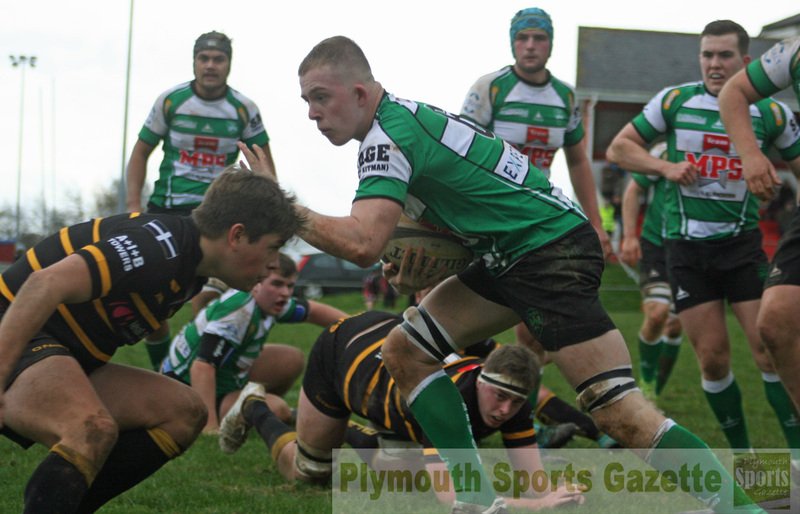 IVYBRIDGE players Nathan Davies and Will Lamont scored tries for Devon Under-20s on Sunday but they were unable to help them to victory over Cornwall in their opening County Championship match at St Austell. Cornwall narrowly won an entertaining contest 29-20 after scoring a converted try with the last play of the game. The hosts had stormed into an early 10-0 lead with a try from Launceston winger Reuben Edwards and a conversion and penalty by Redruth full-back Aaron Simmonds. Devon got back into the game on 18 minutes when Ivybridge centre Lamont was gifted a try. Sam Brown was unable to add the conversion but he did kick a penalty six minutes later to make it 10-8. Cornwall responded with a fine try by Simmonds to make it 15-8, which was how the game stayed until half-time. After the break, Cornwall were reduced to 14 men for 10 minutes when Noah Stanier-Smith was yellow carded and Devon took advantage of the extra man straight away. They went for the corner from the resultant penalty and after pressure Ivybridge’s Davies showed good strength to beat a tackle and stretch out and score. Brown brilliantly converted to level the match at 15-15. Cornwall missed a penalty before they did go back in front on 63 minutes when Mawgan Osborne went over from close range and Simmonds converted. With the game proving exciting to watch, Devon hit back six minutes later when Bideford’s Callum Davies went over from close range after some good forward pressure. Brown just missed with the conversion, meaning Devon trailed by two points. The visitors had a good chance almost straight from the restart but they were penalised for holding on in the 22. And in the closing stages, Cornwall got into Devon’s 22 and kept the pressure on and with the last play of the game, Jake Penprase scored from close range and Simmonds converted. As well as Davies, Devon’s team included fellow Ivybridge players Will Lamont and Owen Garner, while Devonport Services’ Reece Bartlett and Plymstock Albion Oaks’ Reegan Spencer were also in the matchday squad. Tamar Saracens’ Devon One trip to high-flying Exeter Athletic was postponed on Saturday due to an unplayable pitch. However, DHSOB did play a league match in the Devon Merit Table where they pushed unbeaten leaders Salcombe hard at Stonehouse Creek before going down 29-10. Richard Maidment and Shaun Gates scored tries for the hosts, who took encouragement from their performance. “It was a really solid performance that show how the lads are really moving forward and growing as a squad,” said DHSOB coach Martyn Ruskin. “We did really well in the scrum and made Salcombe work for everything. In the Ellis Trophy, Plympton Victoria were narrowly beaten 26-22 by Saltash III, while Plymstock Albion Oaks II overcame Liskeard-Looe II 30-13 in Cornwall. Meanwhile, Oaks’ Pete Keanie and Ivybridge’s Matt Burns played for the South West Under-18s in their 25-21 win over Gloucester Academy on Sunday in their warm-up match for the England Counties selection weekend.